سواءً كنت مسافراً بغرض السياحة أو العمل, The Manna of Hahndorf هو خيار عظيم للإقامة خلال زيارتك أديليد. يسهل الوصول إلى هذا الفندق ذو 4 نجوم من المطار، فهو يبعد عنه مسافة 45 Km فقط. إن سهولة الوصول من الفندق إلى المعالم السياحية الشهيرة الكثيرة في المدينة كمثل Hahndorf Family Medical Centres, Academy Regional Arts & Heritage, بيرنبيرغ فارم هو استثنائي بحد ذاته. يعرف Golden Chain بالمستوى الراقي لخدماته ولباقة موظفيه، وهذا ما ستجده في The Manna of Hahndorf. يمكن الاستمتاع بمجموعة من الخدمات على أعلى المستويات في الفندق كمثل واي فاي مجاني في جميع الغرف, متجر, خدمة التنظيف يوميًا, مرافق مخصصة لذوي الاحتياجات الخاصة, تسجيل وصول/خروج سريع. استمتع بوسائل الراحة الراقية في الغرف أثناء إقامتك هنا. بعض الغرف تتضمن تلفزيون بشاشة مسطحة, اتصال لاسلكي بالإنترنت, اتصال لاسلكي بشبكة الإنترنت (مجاني), حوض الاسترخاء, غرف لغير المدخنين لمساعدتك على استعادة طاقتك بعد يوم طويل. كما أن مجموعة الخدمات الواسعة الموجودة في الفندق لضمان راحتك تترك لك الكثير من الخيارات لقضاء وقتك أثناء فترة إقامتك. إن The Manna of Hahndorf هو خيارك لخدمة الفنادق الراقية في أديليد. عند حجز غرف تشمل الإفطار، يُرجى العلم بأنه يتم توفير قسيمة ائتمانية خاصة بالمطعم بقيمة 30 دولارًا أستراليًا للغرفة في الليلة الواحدة. When we checked in on Xmas eve the reception staff were lovely. We were travelling with a 10 week old baby and she put us/upgraded us into the best room that was available which would have had the least amount of noise as possible. Check in and out was a breeze and the room was really nice with great facilities and an awesome shower! Nice room and a great little town. The showers great size bed comfy and the size of room was perfect. The only down fall to some of these hotels are the TV stations and the lack of DVD or Media connectivity. This was our second time at the Manna and it is a consistent performer. 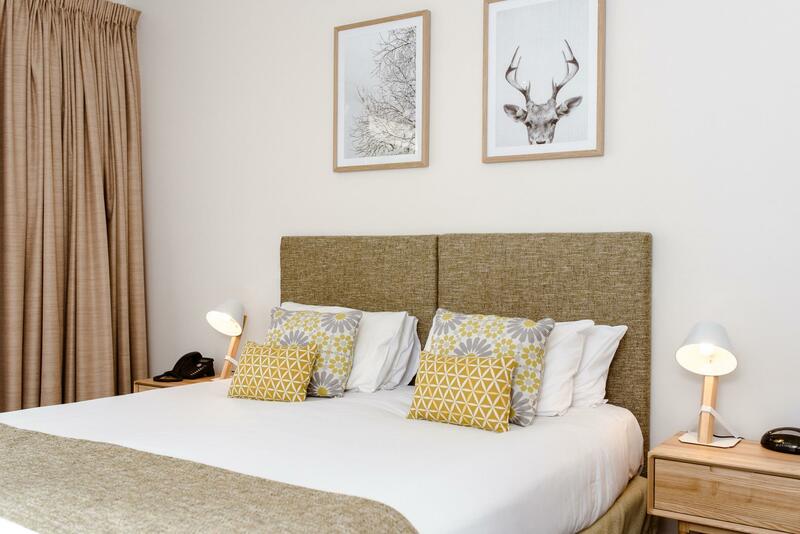 It's not one of those places to stay that you would necessarily rave about - however if you are looking for a nice, clean and comfortable stay right in the middle of Hahndorf then I would happily point you in their direction. The motel had the best bathroom I have ever had in a motel at this price. It is difficult to find the entrance for cars but the position in the twon is excellent and I can thoroughly recommend the motel. Once we were moved from a room ( where there was no hot water, the wireless didn`t work and the TV kept going off ) to a room where everything was satisfactory, we enjoyed our stay. Fortunately our stay was 2 nights! Lovely and quiet and comfortable. Like the cosy big room and location is central to everything.Just short stroll to Harndorf Inn for good German food. Accomodation was first class and associated restaurant 'The Haus' was immediately across the road and it was outstanding. The whole operation was very professional and centrally located with onsite parking. My wife & I spent a few days in the Adelaide Hills, based in Hahndorf. What irked us somewhat was the requirement to wash our dishes in the bathroom sink. This is where people wash their toilet hands, spit/clean teeth, & other general ablution type tasks. Toilets also splash up to 2 meters when flushed, if the lid is not down. Hence a bathroom is not necessarily a clean place to wash dishes from which you may be eating later. If the issue is cutting costs, then at least provide a basin to wash the dishes in, within the kitchenette. These days, there seems to be an increasing reliance on the guest to do these tasks, whereas in times past, this was included in the room service. Apart from this, we generally enjoyed our stay though the mattress was also a little hard. Staff were great, though when we returned from a walk, we were let into our room without providing any ID, a security risk that needs to be reinforced in case of complacency &/or wishing to not offend. Lovely clean, quiet rooms. Even though we had two rooms, we never were able to park outside them. The walk to breakfast could have been made easier with concise directions, rather than,"just across the road", when in fact it was across and down the road. 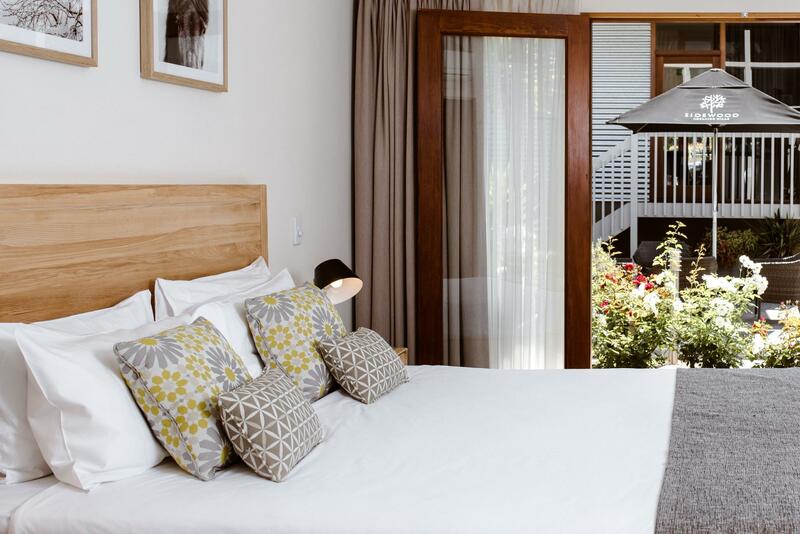 I would recommend this to anyone staying in Hahndorf. We stayed there, whereas previously have stayed in the city when visiting our grandchildren in Mt Barker. Our decision was justified by the welcome and good facilities on offer. Beautifully presented room. Comfortable furniture - wish I had bought a book along to read while laying on the chase lounge. Bed average. TV easy to access while laying in bed. I liked hearing the frogs croaking in the creek near our room. Nice spar bath. Free WiFi was out of range from our room. I had a very nice time staying in Hahndorf. Fell in love with the town being my first time. The staff were very warm and helpful. Breakfast was very good and generous. Room was basic but very comfortable with all the necessities available. Location was excellent. High room standard, Ideal location, great abience in 'The Haus' adjacent dining/breakfast cafe. We enjoyed our stay immensely. 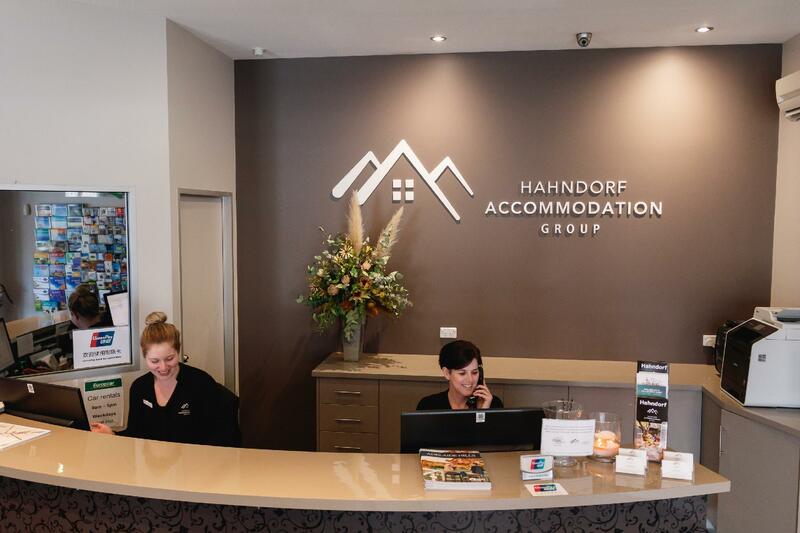 The facility is of a good standard, staff were helpful and courteous, its location means that all of Hahndorf's main street is just a casual stroll away. Breakfast dining across the road at 'The Haus' was a pleasant contemporary experience with personal and friendly staff. Good stay room very comfortable and roomy. 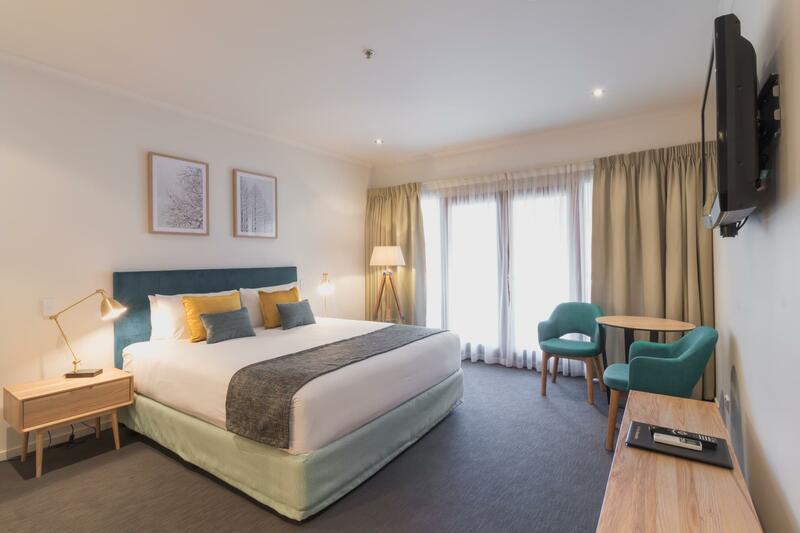 Very clean great bed piles we had were not the best but ok. Great location for a Hahndorf visit leave car behind and walk the streets. Plus easy drive to all other towns within the area and wineries. Loved the Executive Family Room. Other than the King-sized bed, there are 2 trundle beds that can be opened for 2 more children. So, my entire family was comfortable in the room, which is still spacious after opening up the 2 trundle beds. The only problem was the water pressure for the shower was low. 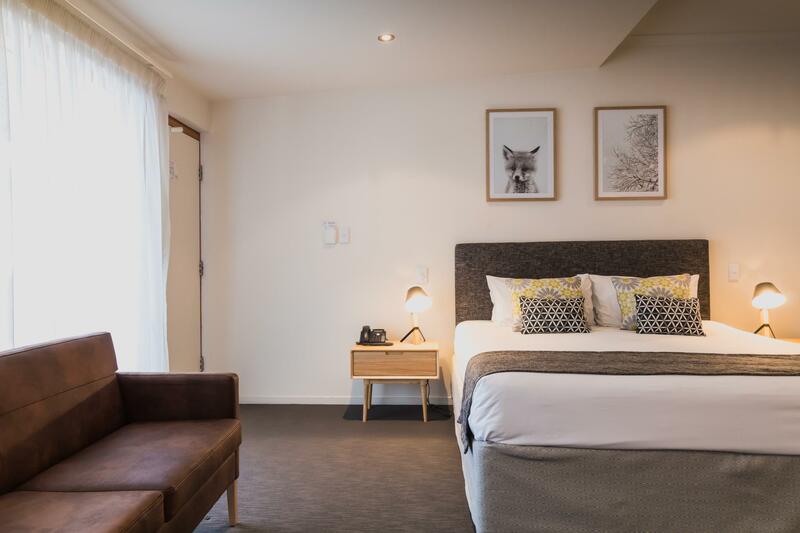 On the Agoda website, write in the request for king-sized bed and open the 2 trundle beds.